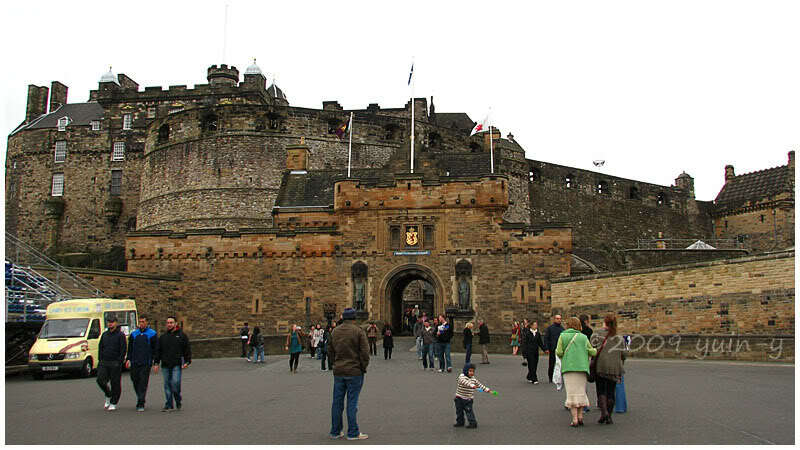 Edinburgh Castle is very much a military castle, so no pictures of really grandiose halls or anything. Just thought I should say that upfront. heh. Look, me! hahahaha ha ha… ha. Yes, well, whatever. 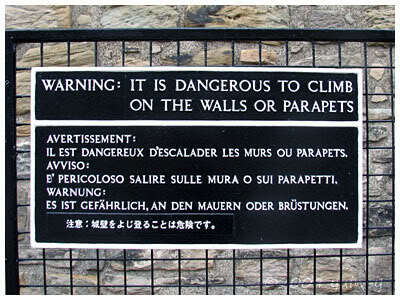 I just wonder what idiot is going to climb the walls of a castle that stands on a hill… But probably someone’s been stupid enough to try that, if they have to put signs up in 5 languages. 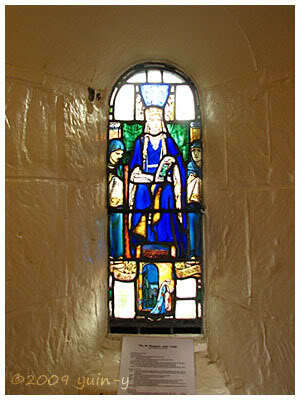 The interior of the tiny chapel called St Margeret’s Chapel. I think it’s only slightly bigger than my room here… But it’s the oldest building in the castle, built in 1130 by David I (I like this guidebook; so much info~). That’s St Margaret there in the stained glass window (left picture). 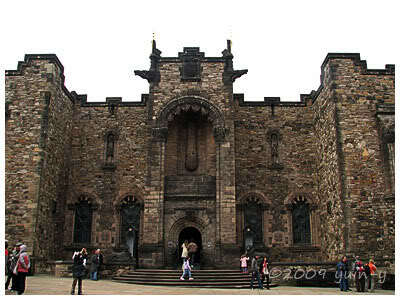 The Scottish National War Memorial exterior- couldn’t take pictures inside, but it was a grand old hall in its own way. They had these huge ledgers listing names of the people who served in the wars and I guess if you’re Scottish and if you had some ancestor or other who fought in the war, his name would probably in one of those big fat books. One of the few restored rooms in the Royal Palace. 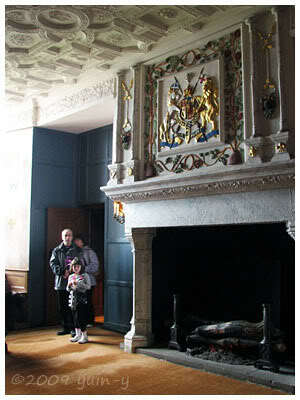 Apparently Mary Queen of Scots lived here for a while. 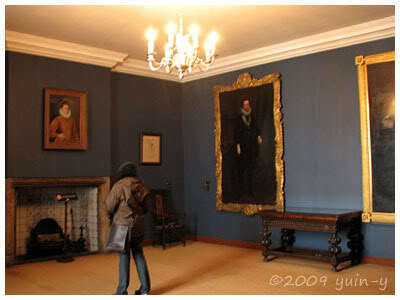 Another of the restored rooms. No furniture in it, but there’s a biiig, grand fireplace. And very intricate detail on the ceiling – which I didn’t manage to get a clear photo of. Pity. 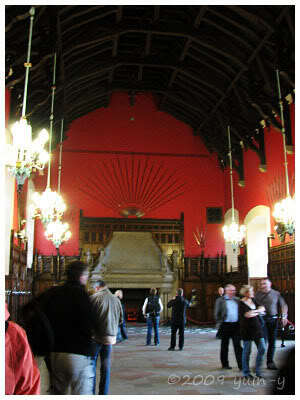 The Great Hall, now a place for exhibiting weapons. 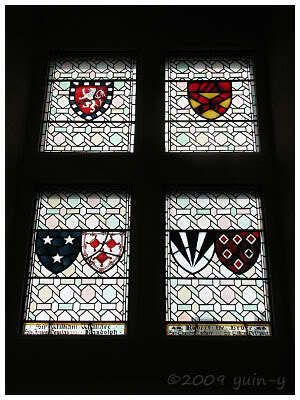 The Great Hall has nice windows though. I like seeing all these arms designs. 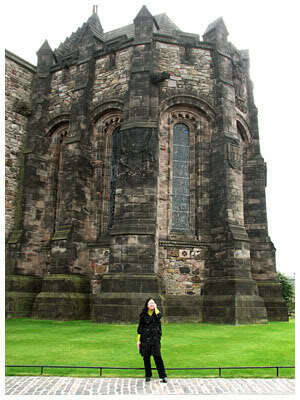 Me again~ Trying valiantly not to be blown away in the wind. Seriously, the winds here are incredible. I’m not light at all and sometimes I think if I jumped off a cliff in a strong wind here it would just carry me away. 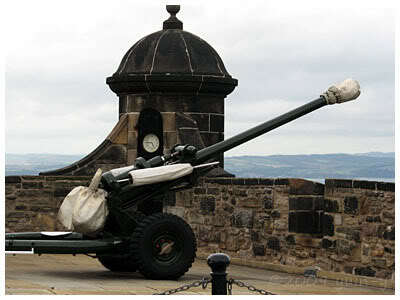 The One o’Clock Gun. They still fire this every day at 1pm. (If you want to look like a local, apparently you should just totally ignore the blast, or check your watch to make sure your time is right. But if you jump in shock then you’re obviously a tourist/foreigner. lol) But I’ve never been in hearing range of it at that time. Either I’m too far away in King’s Buildings or I’m indoors in uni somewhere and don’t hear it. Oh! Nearly forgot… The Honours of Scotland (ie. 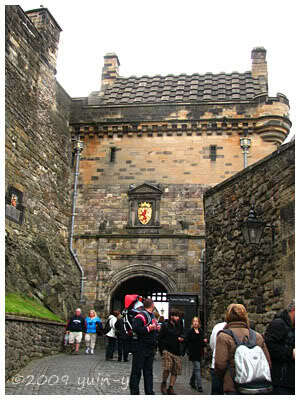 the Scottish crown jewels) are in Edinburgh Castle, but you can’t take pictures inside those exhibits. The Scottish crown jewels are the oldest crown jewels in Britain, though. And I discovered by way of staring at the many royal coat of arms in that exhibit that the pattern seemed to be to split the shield into halves, one representing the King and one the Queen. Super cool, okay? 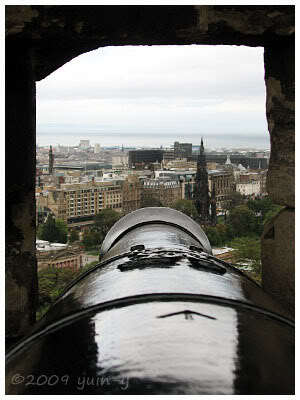 I count that as my most valuable observation from Edinburgh Castle. 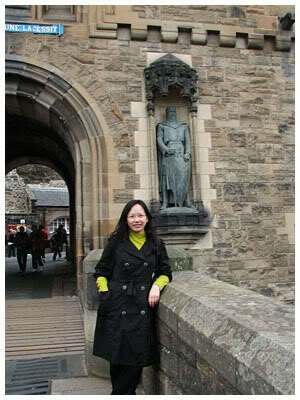 I miss my days in Edinburgh. I remember the weapons exhibition and I almost died when I saw the crown jewels… the diamonds were gorgeous!! 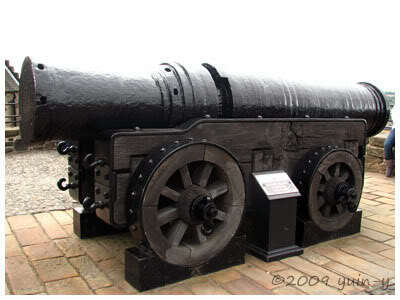 great castle to visit, do enjoy. anyway, glad to see yr face in the picture!